People have many different types of skin. Each skin type has its own problem. 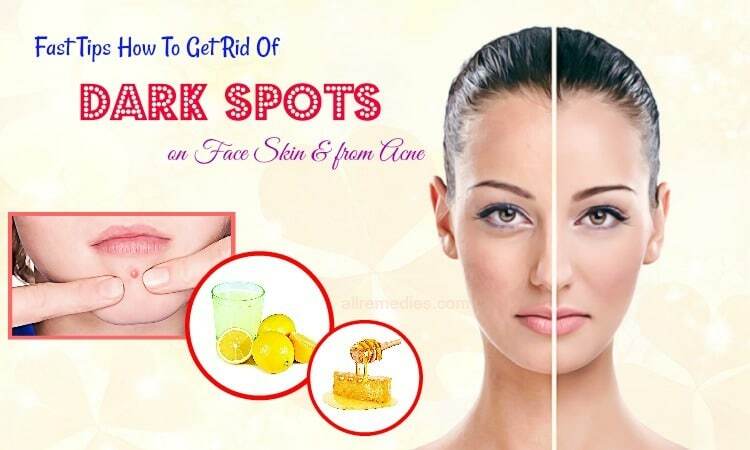 For example, people with oily skin may develop pimples and acnes because of clogged pores due to dirt, and excess oil. It is said that dry skin is more likely to form aging-related signals such as winkles, fine lines, and age spot. Moreover, dry skin problem may get worse in winter when the weather is so dry. It requires the great moisturizer. Therefore, the winter is the time when all manners of creams, lotions, and oils designed for dry skin are bought quickly. However, some creams, lotions do not work for dry skin. You still feel your skin drier despite trying many skin care products. Some chemical-based skin care products may contain questionable and harmful ingredients which many cause irritation, itchiness or other allergic reaction on your skin when it is applied. 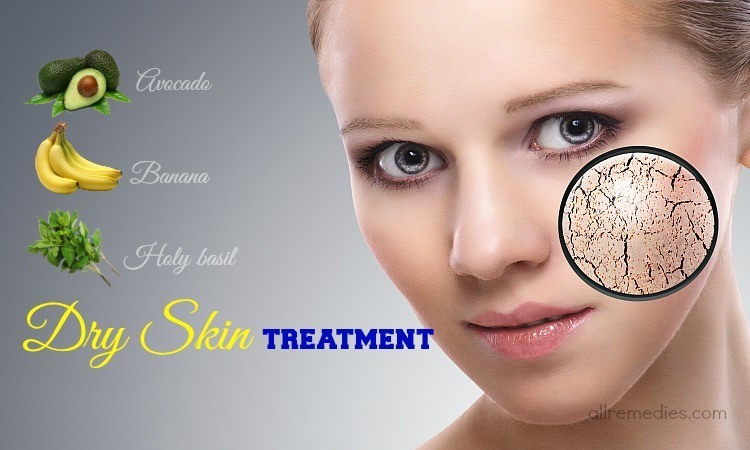 It is time for us to seek for natural dry skin treatment at home. People may have dry skin type or experience dry skin issue at some point in their life. Besides genetics, dry skin problem can be caused by environment condition, your daily diet, stress, depression or excessive bathing. Dry skin problem can affect any parts and areas of your body. If you have skin type or experience temporary dry skin problem, there are many natural ways and solutions that help to hydrate your skin and prevent this problem from occurring again. Treating dry skin is the complicating process which requires diet change, healthy lifestyle, and the right way on how to wash, moisturize, exfoliate and take care of your skin daily. 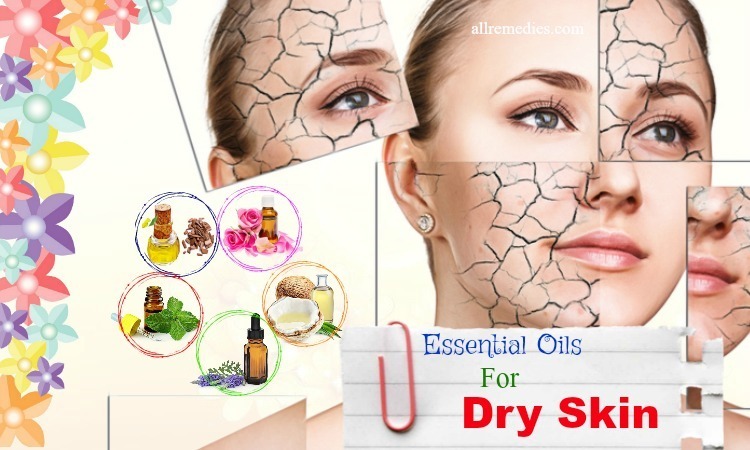 If you want to know how to treat dry skin naturally and effectively, and have healthy vibrant and bright skin, you should follow the natural dry skin treatment at home that I would like to introduce to you on AllRemedies.com. For dry skin treatment, some people make a serious mistake when choosing harsh cleanser to wash their face. They do not know that washing the face with harsh cleanser may remove the natural oil which plays the important role in moisturizing and protecting skin. As a result, when the skin does not have enough natural oil, it becomes drier. Therefore, if you do not wear any makeup, you just need to wash your face with water only to get rid of the dirt from your face. The cleansers which have the label saying moisturizing properties still contain chemicals or ingredients which make your skin dry. It is important for you to read the label carefully in order to understand all the ingredients contained in the cleanser. If you find drying ingredients such as alcohol, sulfates, salicylic acid, it is better not to apply on your face or your dry skin. Oil cleansing method is considered as the great natural dry skin treatment that you should know. This is the best method when you feel like plain water cannot get rid of your dirt completely or when you have makeup. The oil cleansing method is effective in getting rid of dirt, makeup, sweat as well as anything else. It sounds strange when it is believed that using oil will clog skin pores and lead to acne or pimple problem. However, adding oil will attract the existing oil and natural oil can actually act as a gentle cleanser. This oil cleansing method is suitable for any skin type even oily skin. Before trying this method, you should figure out your skin type and look for the natural oils which are suitable for your skin. For example, argan oil, jojoba oil, and almond oil are beneficial for dry skin because it has great moisturizing properties and smoothing effects. If you have oily skin, you should choose castor oil as the great alternative gentle cleanser. Because some people may have an allergic reaction with certain natural oil, it is important for you to test the oil on the small area of your wrist first before applying the oil on your face and sensitive areas like the skin around your eyes. If you have any allergic reaction like irritation, itchiness, please stop using this oil. If you have dry skin, exfoliating your skin two or three times a week is the natural dry skin treatment. Dry skin is actually dead skin cells which need to be removed and exfoliated. Exfoliating will help you to get rid of dead skin cells and reveal the fresh new skin underneath. Here are the methods for exfoliating your skin you should try. Use natural scrub. Honey and oatmeal can be used to make a natural scrub. Mix one teaspoon of ground oatmeal and one tablespoon of honey in a bowl. Apply this mixture on your face and rub it gently in the circular motion before rinsing it off with lukewarm water. If you have dead skin cell buildup and a natural scrub cannot remove it completely, you can use alpha-hydroxy acid and glycolic acid to get rid of dead skin cells. These acids are available in fruit and sugar. These acids not only get rid of your dead skin cells effectively but also strengthen the new fresh skin underneath. You should not use a cloth or brush or any harsh body scrub to exfoliate your skin. The possible reason may be that it can cause irritation and skin damage. When you look for the best moisturizer which is suitable for your skin type, you should read the label carefully in order to make sure that it does not contain alcohol. Alcohol can cause dry skin problem. You should look for the moisturizer which is made from lanolin or a blend of oil. These ingredients are effective in protecting your skin. It is recommended trying coconut oil or argan oil as a natural moisturizer on the day when your skin is severely dry. 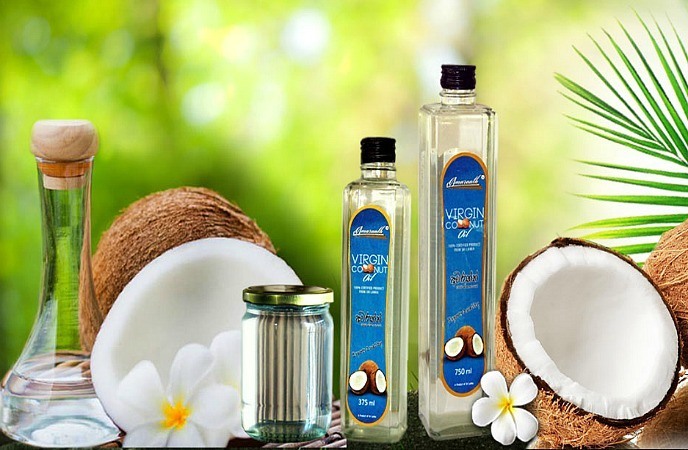 When buying coconut oil, make sure that you purchase the unrefined coconut oil from trusted local store. It is the great idea to apply moisturizing cream on your face at night. However, you still need to moisturize your skin in the morning in order to protect your skin from dirt, pollutants, hot air and dry air as well as many factors which can cause dry skin problem during the day. After you wake up in the morning, cleanse your face with warm water and pat it dry. After that, apply a suitable moisturizer for your skin type. The right way on how to moisturize your skin is important if you want your skin look hydrated and soft. After you cleanse your face as normal, it is recommended patting your skin with a clean towel before using a suitable moisturizer. If you want to moisturize your body skin, you can do the same thing. When your skin is damp, you should apply a moisturizer. It is the great idea to let your skin dry naturally so the moisture can be absorbed quickly and effectively. If you still feel your skin is dry, you can apply the second layer of moisturizer. But it is better to wait for 5 minutes in order to make sure that the first layer of moisturizer has soaked in your skin thoroughly. The dry air in your home may worsen your dry skin condition. It is the great idea to have a humidifier in your bedroom which helps to give moisture to the air and make your skin moist, hydrated. A humidifier is very helpful in winter when dry air and heating systems may make the air in your home super dry. Scientists have found out the close links between sun rays and dry skin problem. It does not mean that sun light is totally harmful. Adequate exposure to sun light can bring a lot of benefits for your health and your skin. For example, you can increase the level of vitamin D in your body by getting exposed to sun light. Vitamin D plays the important role in keeping your skin healthy, boosting your immune system, and strengthening your bone. Moreover, sunbathing is the great way for you to relax and rest. An adequate amount of sun is good for your health and your skin; however, you should protect your skin from getting burned. It is important to wear the protective clothes and wear sunscreen before going out. If you have dry skin, you should read the label of sunscreen carefully in order to make sure that the sunscreen does not contain alcohol or any chemicals which can make your skin dry. 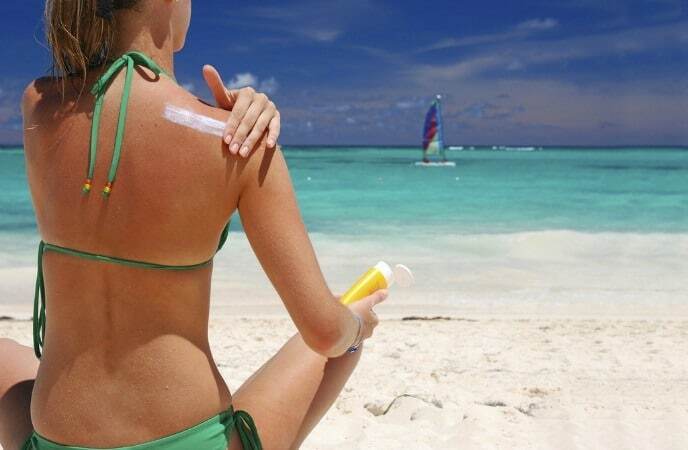 It is recommended looking for all-natural sunscreen. After getting exposed to the sun light, you should use aloe vera or other rich moisturizing remedies to moisturizer your skin immediately. If you want to know natural dry skin treatment at home, you should make a diet change. According to Dr. Cynthia Baily who is a dermatologist in Sebastopol, California, eating natural foods and following a healthy diet are the excellent way that helps to keep your skin healthy. Instead of taking vitamin supplements, you should consume the healthy foods as the way on how to treat dry skin condition effectively and naturally. It is the great idea to consult your health care provider for therapeutic nutrition which can help to cure dry skin condition before making a positive diet change. You should increase essential fatty acids intake in your diet. Essential fatty acids will keep the outer lipid layer of your skin from damage; as a result, it will be beneficial for your skin. However, it is important for you to eat and cook with right fats. If your dry skin condition is caused by psoriasis, you should avoid consuming the foods which are rich in cholesterol and fat, according to the National Psoriasis Foundation. It is recommended using unhydrogenated vegetable oils in cooking. However, you should pay attention to the temperature when cooking. Each vegetable oil requires different temperatures to cook. For example, olive oil needs to be cooked at low heat while canola oil requires high temperature. Eating fresh fruit and fruit juice without adding any sugar will keep your skin hydrated and keep your skin from free radical damage. Fruits are included in the therapeutic diet for dry skin because it contains vitamins and water. Citrus fruit help to boost collagen production; as a result, it makes your skin look plump and soft. Moreover, it is recommended eating plenty of green leafy vegetables such as cabbage, broccoli, spinach and Brussels sprouts. These vegetables are loaded with important phytochemicals which can help you to fight against free radicals. Consuming green leafy vegetable will lower the harsh effects of sun damage as well as other environment factors which cause dry skin and prematurely age skin. Eat foods which are high in lipoic acid such as poultry, tomatoes, round steak, calf liver and green leafy vegetables. Lipoic acid is effective in treating dry skin and sun damage. Include fiber in your diet. Fiber help to flush out the toxin chemicals from your body like smog, smoke, stress hormonal, pollutant, and other environment triggers causing dry skin. However, you should eat enough fiber, not too much because excessive fiber consumption may keep your body from absorbing nutrients and vitamins which are necessary for health and skin. Women who are under 50 should take 25 grams of fiber while others who are over 50 should consume 21 grams. Recommended daily fiber intake should be 38 grams for women who are under 50 and 31 grams for those who over 50. Water plays the important role in our life. We cannot live without water. Drinking water gives us many benefits to our life. For example, it refreshes our body and skin, keeps your body temperature under the control, maintains energy, boosts your digestion and finally keeps your body healthy. It is said that drinking water is one of effective way that help you to fight against the heat of dry climates which keep your skin dehydrated and cause dry skin. Drinking enough water will protect your body as well as your skin from toxins and diseases as well as other harmful elements. Because water is good for your health and wellness as well as your skin, many doctors suggest that you should drink eight glasses of water per day. You will need water to stay hydrated. Moreover, recommended daily water amount depends on your overall health, your body type, and other related factors. You may feel it difficult to drink enough water during the day. However, there are many ways that help you. For example, you should keep a glass bottle of water without throughout your day as the way on how to remember to drink water. Set a time on your watch to remind you. If you have dry skin problem, you should keep your body and your skin hydrated from inside out. However, drinking water alone does not help you to treat dry skin effectively and completely. 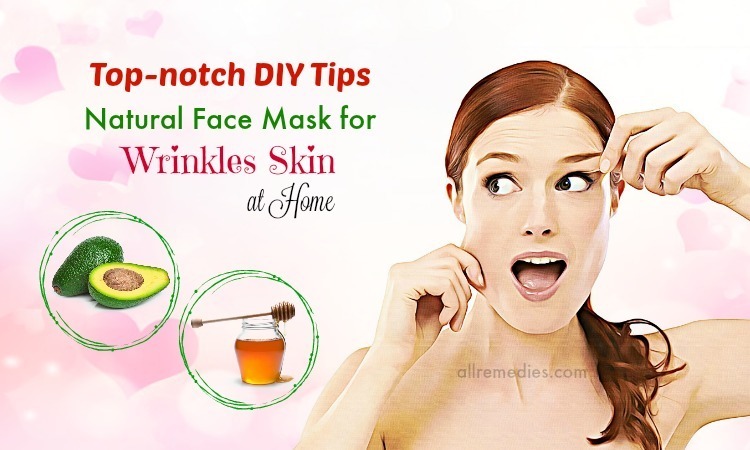 It requires combining other solutions and home remedies as natural dry skin treatment. Some bad habits causing dry skin and other health problems such as smoking, drinking alcohol, and taking drugs should be avoided. Alcohol, tobacco, and other drugs have negative effects on your skin. They can dry your skin out and increase the risk of developing aging-related signals like fine lines, wrinkles and age spot. You should limit or get rid of these products if you want to have hydrated healthy skin. It is important for you to avoid unhealthy foods which dehydrate your skin and make your skin drier. 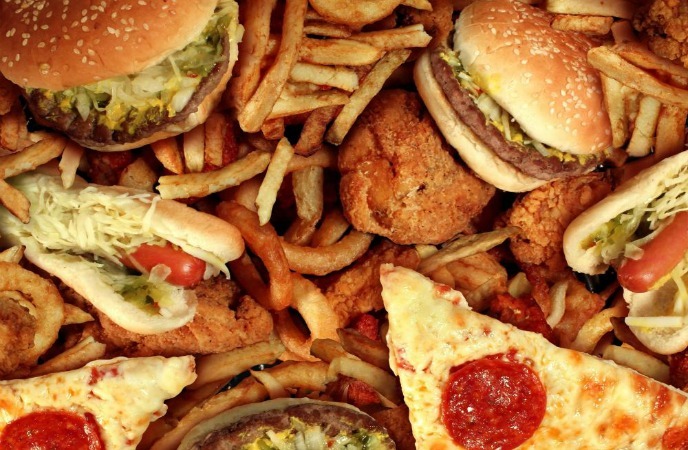 Eating unhealthy foods such as salty and fried foods will exacerbate your dry skin problem. If you cannot stay away from these foods completely, you should limit your intake. Instead of eating fried and salty foods such as popcorn, hamburger, fried French potato, or fried sausage, you can choose healthy snacks such as fruits or vegetable. These healthy snacks are good for your skin and your overall health. If you want to know natural dry skin treatment at home, it is important to keep in mind that excessive bathing or showering too much can dry out your skin. Therefore, in order to avoid dryness and keep your skin hydrated, you should take a bath or shower once a day. If dry skin is your problem, you should not steam your skin or wash your face with hot water. It is recommended taking a bath or shower and washing your face with warm or lukewarm water. This is because the warm temperature will not make your skin lose the hydration. Hot water will strip away your skin’s protective skin lipid layer. Taking long shower or bath also worsen dry skin problem. Taking the shower or bath for only 20 to 30 minutes is suggested. People who have dry skin problem should take shower for only 10 minutes in order to avoid worse condition. You can protect your skin from harmful elements causing dry skin by covering your skin as much as possible. For example, in winter, it is the great idea to wear scarves, hats and gloves in order to keep your skin from dry winds. You can shield your lips by wearing a protective chap stick. In summer, it is recommended wearing a sunhat or a baseball hat to avoid exposure to sun rays. Moreover, wearing long-sleeved shirts and pants will keep your skin from getting burned. Asking for the natural dry skin treatment, you should not ignore petroleum jelly. It is said that petroleum jelly is effective home remedy for dry skin because it contains hydrating properties. Petroleum jelly can act as an emollient. When applied on your skin, petroleum jelly can form a great protective barrier which keeps the moisture on the surface of your skin from evaporating. It is the affordable and cheerful option for anyone who wants to have hydrated skin. Because petroleum jelly is sticky and thick, it should be applied at night. Petroleum jelly can not only hydrate your facial skin but also treat dry hands and feet effectively. Covering petroleum jelly on your hands and your feet and leaving it overnight will give you the great result in the morning. When you wake up, you can see your skin look supple and moist. Avocado is one of super foods which have many benefits for your health. Moreover, many people found that avocado is good for skin too. Avocado can be used to make a variety of facial masks for popular natural beauty treatment. Eating avocado on the regular basis also helps you to improve your complexion. The possible reason may be that avocado is loaded with healthy fatty acids, vitamins and it has antioxidant properties. 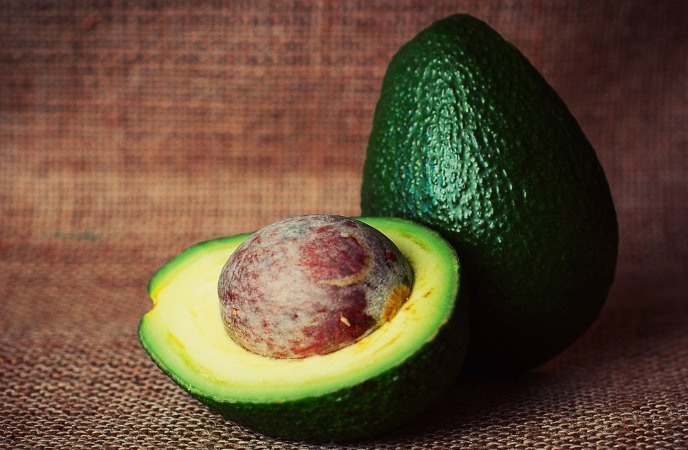 As a result, both eating avocado regularly and topical application can improve your skin from inside out. Avocado contains antioxidant carotenoids such as beta carotene, alpha carotene, zeaxanthin, beta cryptoxanthin, and lutein. These active compounds will help to protect your skin from the environmental triggers causing dry skin, fines lines, winkles and other skin damages. Avocado is rich in vitamin C which has strong antioxidant effects. Your skin needs vitamin C in order to boost the collagen production. Collagen plays the important role in connecting skin cells together and maintaining the skin firmness. 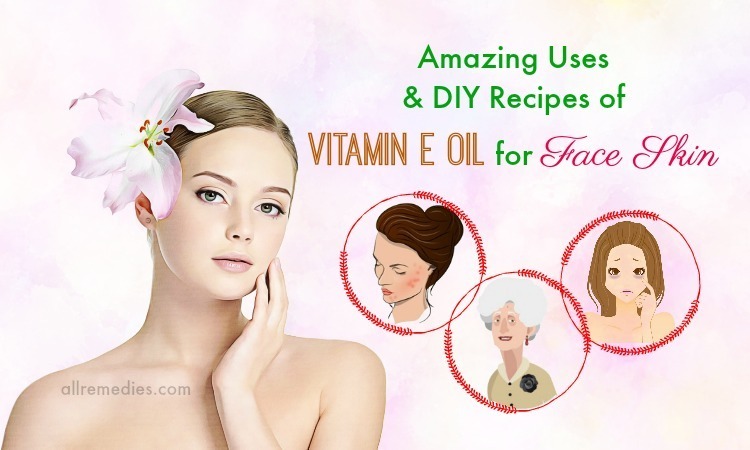 Vitamin E is fat-soluble vitamin which can act as that natural sunscreen. More importantly, avocado is the great source of oleic acids. This monounsaturated fatty acid will keep the skin moisture in the outer layer of your skin; as a result, it will help your skin look hydrated and soft. Moreover, oleic acid which is an omega-9 fat can repair damaged skin cells, fasten the healing process and alleviate skin redness and irritation. In order to keep moisture on the surface of your skin and make your skin look healthy and soft, you can eat avocado on the regular basis in order to supply your skin enough nutrients and vitamins. Another dry skin treatment using avocado is to make an avocado facial mask. Here are the steps you should follow. It is recommended repeating this treatment twice or three times a week and after a few weeks, you can see your skin super hydrated. Do you know banana is the excellent food for your skin? Banana has the great source of phytochemicals, anti-oxidants, and moisture. Therefore, asking for the dry skin treatment at home, you cannot skip banana. When applied topically, banana is suitable for all skin types. Even the acne-prone skin or oily skin can get the beneficial effects from banana. 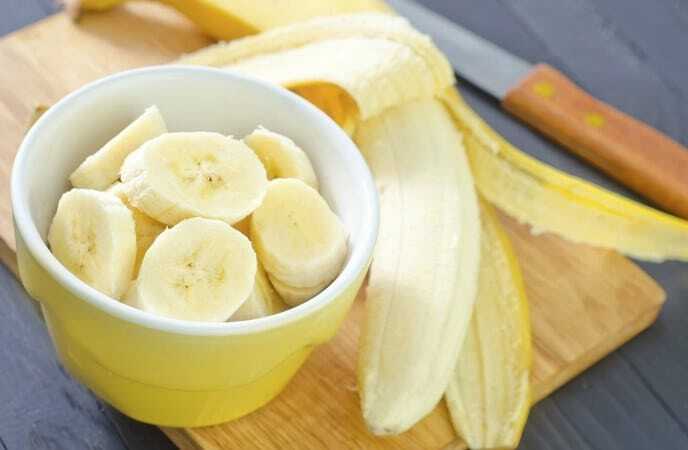 Banana is the delicious healthy food to eat. Eating banana can improve your overall health because of many excellent necessary nutrients contained in this fruit such as potassium, B vitamins, vitamin A, zinc, vitamin C, vitamin E, lectin, and amino acid. Moreover, both eating banana daily and topical application will bring your skin many benefits. For example, banana can be considered as the great powerful skin moisturizer. The possible reason may be that avocado is high in moisture and potassium. Therefore, it will provide your skin moisture, hydrate your skin and make it look supple, soft. When you feel your skin is dry, you should apply a banana mask on your skin. You can apply a suitable moisturizer on your skin afterward in order to enhance it effectiveness. Another way on how to use avocado for skin care is making a facial mask from banana, yogurt and orange juice. Avocado has moisturizing properties. Plain yogurt is effective in closing your large pores and tightening your skin as well as hydrating your skin. Orange juice which is loaded with vitamin C revitalizes your skin cells and reduces the appearance of fine lines, wrinkles. Rinse your face with lukewarm water as the final step. If necessary, you can apply a suitable moisturizer for your skin type afterward to finish. You should repeat one of these banana masks twice or three times a week in order to have more satisfactory result. Milk has been added in many moisturizing creams as well as skin care products since a long time ago. In fact, the secret why Queen Cleopatra had beautiful glowing skin is that she bathed in milk. Using milk to wash your face will hydrate your skin and alleviate the blemishes. The lactic acid in milk is effective in cleansing your skin while high fat content in milk will keep your skin hydrated. It is recommended choosing whole fat milk in order to boost the skin hydration. Here is the method on how to moisturize your skin with milk. Repeat facial milk cleansing regularly in order to receive the best result. Mayonnaise is considered as great natural dry skin treatment at home. The possible reason may be that the primary ingredients of mayonnaise include eggs and soybean oil. 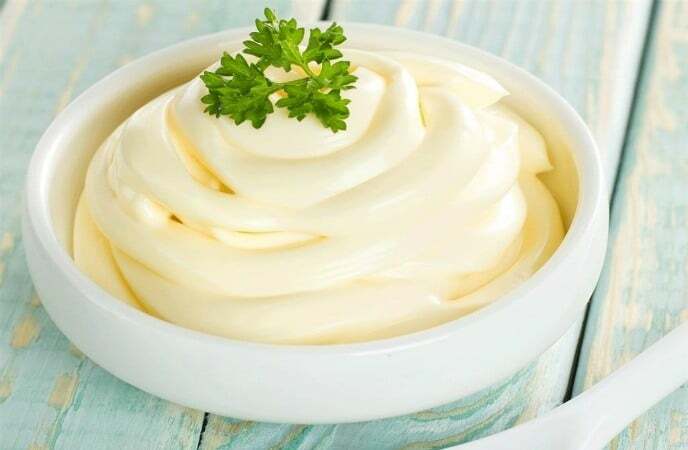 Moreover, mayonnaise contains vinegar which can help the skin to revel the healthy fresh skin cell underneath. Eggs and soybean oil are effective in moisturizing while vinegar can help you to get rid of the dead skin cells. Therefore, you should include mayonnaise mask in your beauty routine especially if you have dry skin. Here are the steps to make mayonnaise facial mask you should follow. Mayonnaise and honey can act as the great powerful moisturizer. Lemon juice is often used to lighten your skin because it has the great source of vitamin C. Repeating this facial mask made from mayonnaise, organic honey and lemon juice on the regular basis will give you the glowing bright skin. When spreading mayonnaise over your face, you should avoid sensitive skin around your eyes in order not go get skin irritated. Because mayonnaise can cause irritation and redness if applied too much, you should only use this mask once a week. A sugar scrub will help to exfoliate the dead skin cells and hydrate your skin at the same time. This treatment will give you the best result if repeated three times a week. Exfoliating your skin more than three times a week can cause skin irritation and other damage. Aloe vera plant comes from North America. For ages, the gel extracted from aloe vera leaf has been utilized to treat many problems such as wounds, burn and even psoriasis as well as other skin disorders. Aloe vera has been considered as natural dry skin treatment since a long time ago. Therefore, it is not a surprise when aloe vera is often added in many kinds of soaps, cosmetics, moisturizers and body washes. Aloe vera is useful to treat and prevent dry skin. Moreover, according to a study published in “Skin Pharmacology and Physiology” in 2008, aloe vera can alleviate skin inflammation caused by sunburn effectively after 48 hours of aloe vera topical application. Therefore, it is believed that aloe vera can cure swelling, redness and discomfort due to dry skin problem. Aloe vera treatment can also work effectively if dry skin condition is caused by psoriasis. Here is the way on how to treat dry skin with aloe vera. It is the great idea to grow aloe vera plant in your garden. However, if you do not have aloe vera leaf available, you can buy aloe vera gel in the market. If you want to have the great result, you should apply this facial mask once or twice a week in order to rehydrate your skin and reduce inflammation and redness. Although it is believed that aloe vera is safe for any skin types, some people have experience allergic reaction when applying aloe vera on their skin. 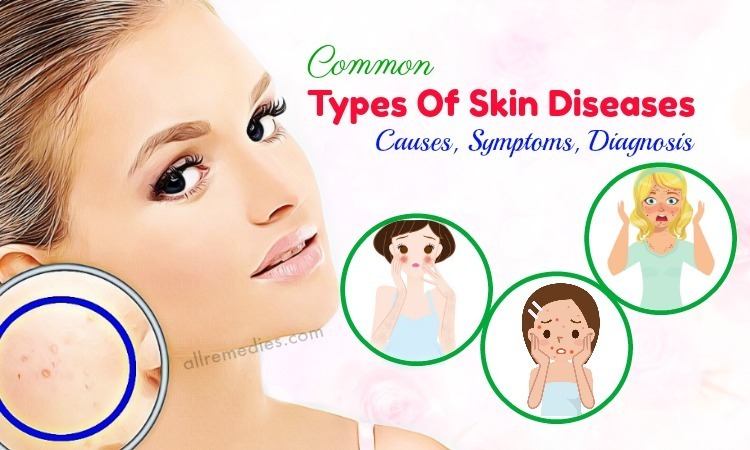 Therefore, it is still important for you to consult the doctor first before using aloe vera as the natural dry skin treatment and solution for other skin disorders. In order to make sure that you do not have any allergic reaction to aloe vera, you should try aloe vera on small area of your wrist before applying it on your face. This natural dry skin treatment sounds strange; however, it can work effectively. It is said that rubbing an ice cube over your face will help you to boost your blood circulation around your face. As a result, it will help to hydrate your skin and bring the moisture to the surface of your skin. Regular application will give you glowing beautiful skin. If you experience dry skin at some point in your life, you should try coconut oil as the great natural dry skin treatment. When it is applied on your skin topically, it will give you anti-aging effects and moisturizing properties. Coconut oil will help to connect your skin cells and tissues together. As a result, it will prevent the formation of wrinkles, fine lines as well as other aging-related signals. Moreover, applying coconut oil on your skin will help to get rid of the dead skin cells, leaving your skin look supple and soft. According to biochemist and physiologist Ray Peat, coconut oil can act as an antioxidant because of its resistant to oxidation as well as its stability which can help your skin to fight the free radicals. Moreover, coconut oil contains antimicrobial properties. 50 percent of the fat contained in coconut oil comes from lauric acid which is converted into monolaurim in your body. Monolaurim has anti-bacterial, anti-viral and anti-protozoa properties. Moreover, capric acid which is another fatty acid present in coconut oil. Therefore, if you want to ask natural dry skin treatment at home, you should consider including coconut oil in one of the ingredients for your facial masks. The first facial mask is made from honey, lemon juice, and coconut oil. Honey and coconut oil are considered as the great natural moisturizer which can hydrate your skin. Honey is an effective remedy for acnes and pimples. Lemon juice can act as natural astringent which can tighten and close your skin pores. Here is the method you should follow. Another mask is made from banana, turmeric and coconut oil. As I mentioned before, banana has moisturizing properties which can hydrate and lighten your skin. Turmeric contains antiseptic, anti-inflammatory, anti-aging and antibacterial properties. Moreover, turmeric is effective in treating acnes and pimples. Here are the steps you should follow. Either of these coconut oil facial masks should be repeated once or twice a week if you want to see the great result after a couple of weeks. However, before applying, it is important to try each ingredient of these masks on small areas to make sure that it does not cause any allergic reaction before applying on your face. 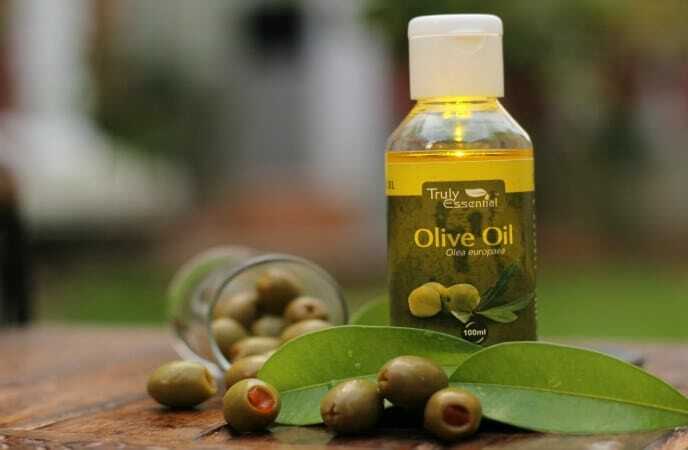 Another dry skin treatment at home I would like to introduce to you is using olive oil. This natural remedy is safe for anyone. Olive oil is rich in nutrients and vitamins and it can act as a natural humectant which can keep the moisture on the surface of dry skin. Many people love using olive oil to treat dry skin because it is loaded with vitamin E, vitamin K, and other excellent ingredients. Moreover, olive oil contains antioxidant properties. When using olive oil as the natural dry skin treatment, some people choose to consume it by mixing a few spoons of olive oil in their food while others prefer applying olive oil topically. 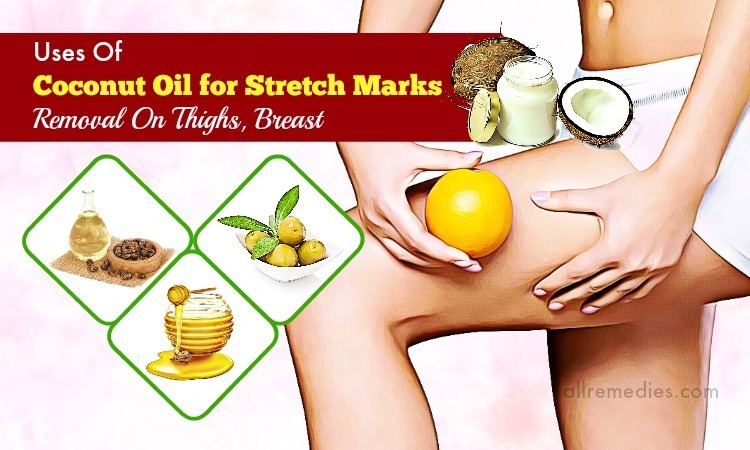 It is said that rubbing olive oil on your skin will give more moisturizing benefits. However, when you eat olive oil, please do not consume too much. Just need to mix one teaspoon of olive oil in salad or any dishes. If you have oily skin or sensitive skin, you should be careful when using olive oil. This is because applying olive oil on skin can cause a breakout. In this article, I would like to introduce to you the method on how to apply olive oil topically in order to treat dry skin problem. All needed ingredients include extra virgin olive oil, baking soda, organic honey. You can use a suitable moisturizer for your skin afterward if necessary. It is said that you should repeat this treatment several times a week if you want to see the great result. 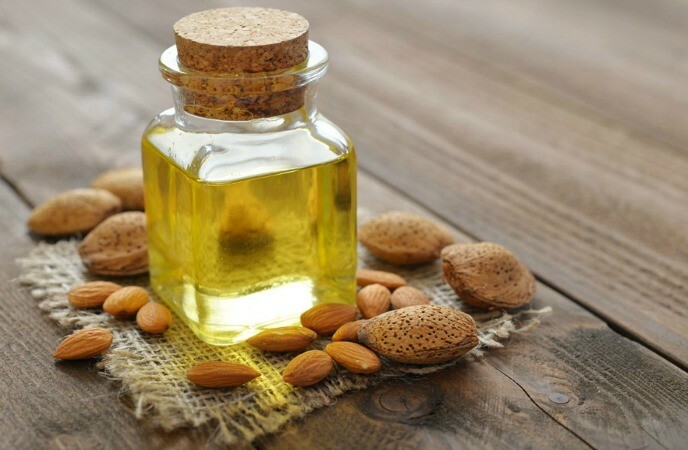 If you look for natural dry skin treatment at home, almond oil is a wonderful remedy. For centuries, almond oil has been included in many skin care products, from moisturizer, creams, lotions to cosmetics. The possible reason may be that almond oil is the great source of vitamin A, vitamin E and vitamin D. Moreover, it is also high in linoleic and oleic acids. Almond oil is effective in trapping moisture on the surface of your skin; therefore, it keeps your skin moisturized during the day. Furthermore, almond oil contains anti-inflammatory, moisturizing, and emollient properties which can reduce your dark circles, prevent wrinkles and protect your skin from sun damage. Two way on how to use almond oil as natural dry skin treatment is eating and topical application. In this article, I would like to introduce to you how to apply almond oil. It is said that almond oil is safe to massage over the sensitive areas such as the skin around your eyes. However, you should use light, gentle pressure. Another way is mixing almond oil with organic honey and lemon juice. This treatment will give the best benefits if done in the morning. Honey is considered as natural dry skin treatment because of its humectant, antimicrobial and antioxidant properties. Honey can help to strap the moisture on the surface of your skin; as a result, it will make your skin look smooth and soft. Moreover, honey is loaded with essential minerals and vitamins which can boost your skin’s health. It is said that this treatment should be repeated daily for the great result. If you have dry facial skin, you can do the same steps. However, when you rub honey on your face, please do it gently because the facial skin is sensitive. Take the equal parts of beeswax, unprocessed honey, and olive oil. It is recommended repeating this treatment daily in order to get the great result. Yogurt contains skin-hydrating effects, antioxidant and anti-inflammatory properties; as a result, yogurt will help you to alleviate itchy and dry skin. Moreover, its lactic acid content will help you to fight against any bacteria or germs causing itchiness and dryness. Therefore, if you want to seek for the natural dry skin treatment, you should not ignore yogurt. The exfoliating effects of yogurt will help to get rid of the dead skin cells, leaving your skin fresh and soft. It is recommended doing this treatment daily. Another way on how to treat dry skin with yogurt is combining yogurt and papaya. The treatment made from mashed papaya and yogurt should be repeated once a week for the best result. Oatmeal is one of the super foods which have many health benefits. People often use oatmeal in order to keep your skin moisturized and relieve dry skin. Protein in oatmeal can form a protective barrier on your skin which can keep your skin from water loss and help your skin fight the free radicals and other environment elements causing dry skin problem. Furthermore, oatmeal contains antioxidant and anti-inflammatory properties which are beneficial for your skin’s health. It is recommended enjoying this oatmeal bath once a week. Another remedy for oatmeal facial mask is mixing mashed banana and ground oatmeal. You can apply a suitable moisturizer afterward if necessary. It is recommended repeating this treatment once a week for more satisfactory result. Jojoba oil will help to hydrate your skin and maintain the moisture on the surface of your skin. This remedy has been used as dry skin treatment especially in Mexico. You can find jojoba oil lining in the shelves of any health food store. Jojoba oil is actually a waxy substance which is similar to sebum, the human skin oil. Therefore, it is considered as the skin’s natural oil. When applied topically, jojoba oil makes your skin think that it produce enough oil. Moreover, jojoba oil is loaded with natural fats which protect the outer layer of your skin from free radical and other environment factors causing dry skin problem. According to Joshua Zeichner, a director of Mount Sinai Medical Center in New York city, jojoba oil will keep your skin moisturized all day long and fasten the healing process. 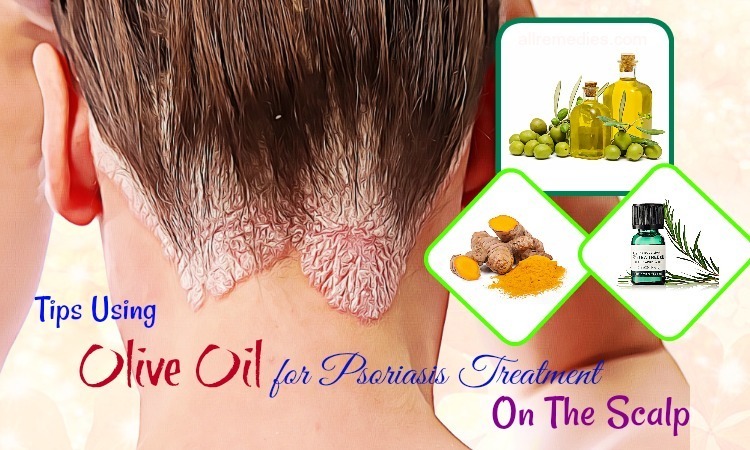 When it is applied topically on the regular basis, it will help you to treat psoriasis, acne, sunburn and dry skin. Because it contains moisturizing and cleansing properties, jojoba oil is often added in cleansing products, shampoo, body and face lotions. It is loaded with antioxidants, essential fatty acids, sterols and vitamin E, using jojoba oil is good for your skin health Therefore, if you experience flaky dry skin, you should consider using pure jojoba oil or any products containing this oil in order to make your skin look hydrated and smooth. 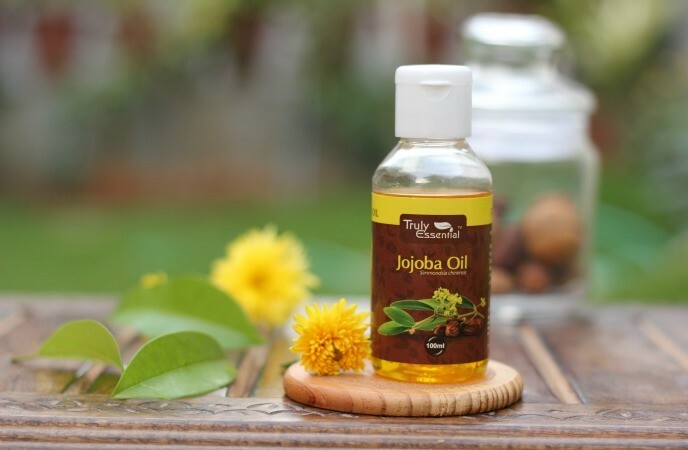 In this article, I will share with you the method on how to treat dry skin with jojoba oil. For the best result, this treatment should be repeated once or twice a week. When using jojoba oil treatment, you should not hot water because hot water can irritate your skin. In order to treat dry flaky skin, you can also use sour cream as the effective remedy. 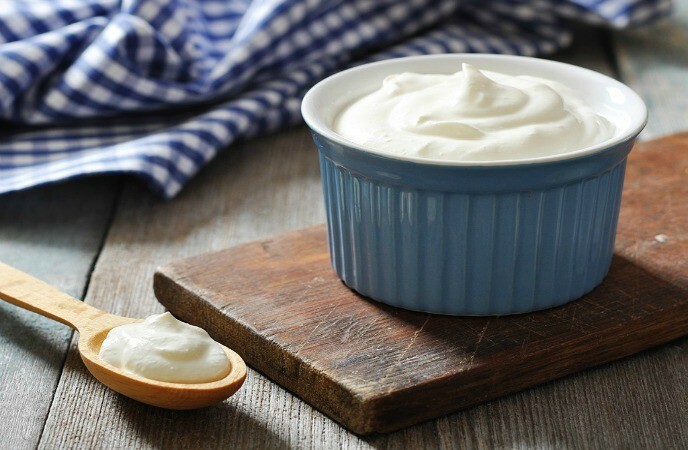 This is because the lactic acid in sour cream can help to exfoliate dead skin cells and moisturize your skin at the same time, leaving your skin smooth and supple. You should repeat this treatment at least twice a week for the best result. Asking for the natural dry skin treatment, you should not ignore castor oil. 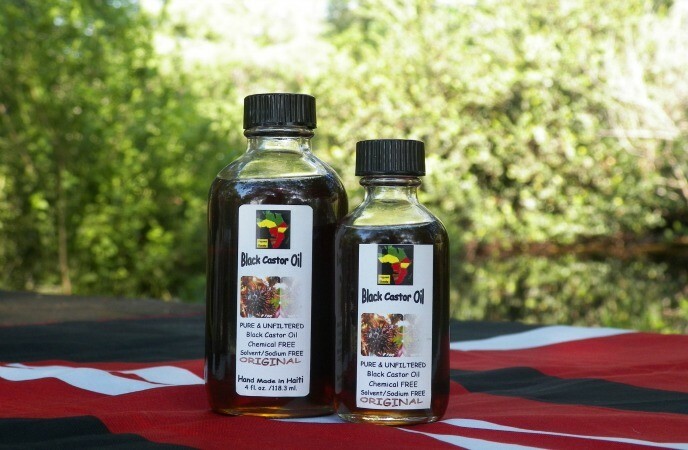 Castor oil has been used to treat many skin problems such as sunburn, acne, stretch mark and dry skin. Moreover, it also helps to fight against infection such as chronic itching and athlete’s foot. Castor oil is also effective in treating ringworms, a stubborn skin problem which can affect any people at any age. When castor oil is used in cooking or topical application, it can boost collagen and elastin production. Elastin plays the important role in binding your skin tissues. Here are the steps you should follow if you want to make your skin glowing and hydrated. It is recommended repeating this treatment regularly in order to have the most satisfactory result. Baking soda is considered as the great remedy for beauty from hair, teeth to skin. 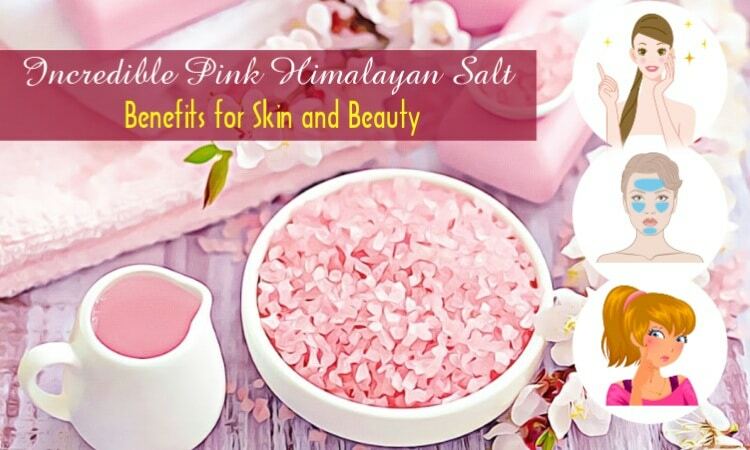 It is also included in the list of dry skin treatment at home. 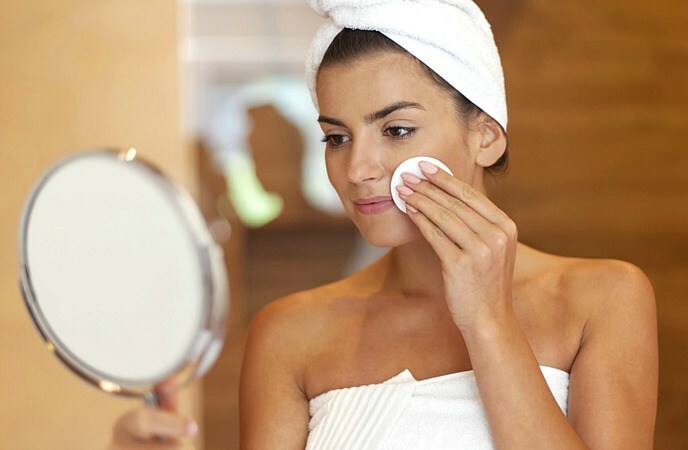 If you have dry facial skin, you can mix three parts of baking soda with one part of water in order to create a thick paste and then apply it on your face. After 10 – 20 minutes, you can rinse it off with lukewarm water. 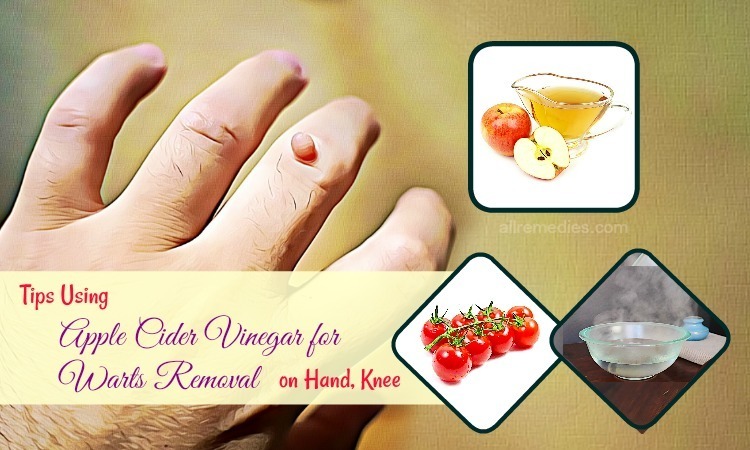 Asking for the dry skin treatment, some people suggested that you should apply a sufficient amount of apple cider vinegar on the dry itchy skin areas. If you suffer from dry skin on your whole body, you can soak in vinegar bath for 15 to 30 minutes. Repeat this treatment if necessary for the best result. It is said that the combination of juniper berries and cloves will help you to treat dry skin problem effectively and naturally. This is because juniper berries contain volatile and anti-inflammatory properties. 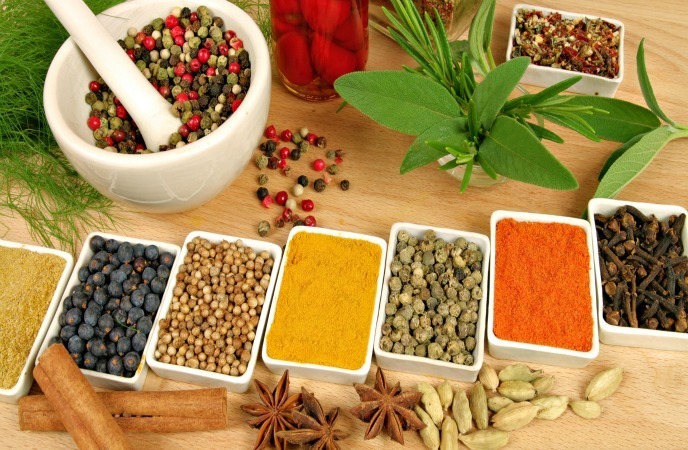 Here are the steps to use both spices to get a significant relief. Basil is considered as dry skin treatment because it contains eugenol which is a topical anesthetic. It is suggested that you should apply this treatment as often as possible to get a complete relief. Mint has the great amount of menthol. Therefore, mint contains anti-inflammatory and anesthetic properties. If you want to treat dry skin with mint, you should apply it regularly. In this article, I would like to introduce to the method on how to use mint to treat dry skin problem. It should be reapplied if necessary. Another herb on how to treat dry skin naturally is thyme. 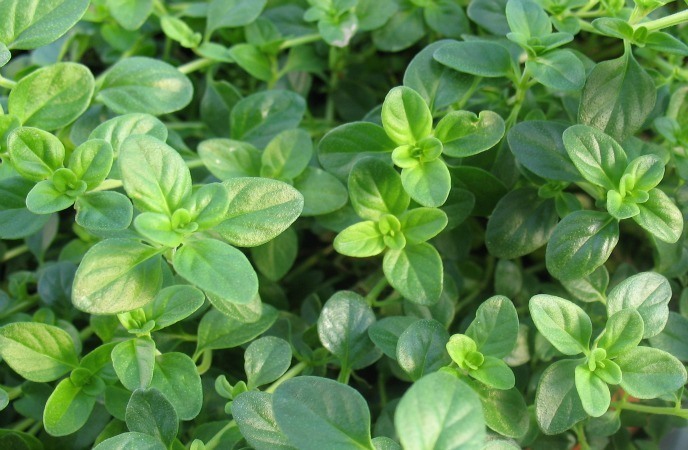 Thyme has large amounts of thymol, the volatile constituent which contains anti-inflammatory and anesthetic properties. Therefore, applying thyme will numb the itchiness and reduce inflammatory. Here are the steps to make thyme rinse. Put ½ ounce dried thyme leaves in a jar of boiling water. 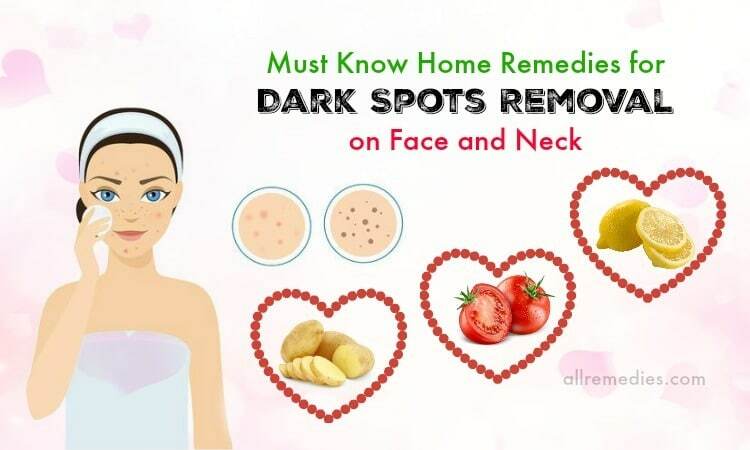 It is 37 remedies and techniques you should consider when you seek for the natural dry skin treatment at home. I hope that the information given in this article will satisfy you. If you have any questions to ask, please raise your voice by leaving your comments bellow. Thank you for reading.